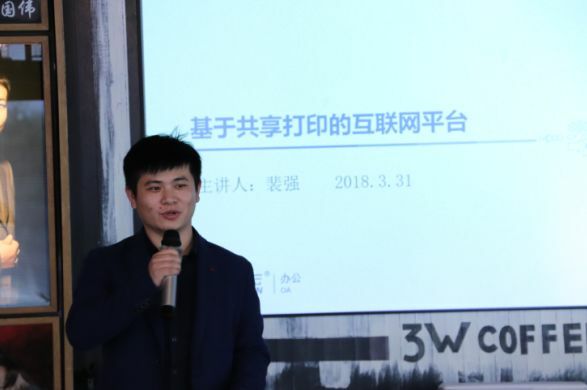 The first stage of the SDChain alliance technology promotion conference was successfully held in Wuxi, Jiangsu Province, on March 30, 2018. 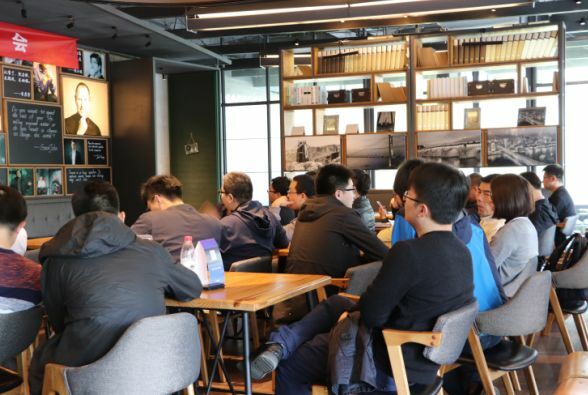 Developers and entrepreneurs who participated in the SDChain ecological construction as well as those involved in numerous Internet of Things projects attended the meeting, as did the team leader of the blockchain center project team of the Shanghai Technical Transfer Exchange (STTE). Several leading figures in the blockchain movement — Mr. Cao Shenghu, CEO of Yuhu Technology, Mr. Cui Chunsheng, a member of the core implementation of SDChain, Mr. Tian Busheng, CEO of SolveAnalysi, Mr. Pei Qiang, founder of JiangSu CanDoWin Technology and co-founder of SINZK and Mr. Chen Donglei, chief blockchain expert of the blockchain special committee of Wuxi Software Industry Association — discussed the overall operation of the SDChain, the international standard technical framework and development progress of the project, the realized application of the SDChain in the express delivery industry, SDChain used in the information sharing industry, and blockchain history as well as other aspects of the wonderful opportunities enabled by SDChain alliance technology. Experts and project parties agreed that the inherent technical characteristics of the blockchain perfectly addressed the bottleneck in the development of the Internet of Things. Moreover, with the gradual improvement of infrastructure and standard architecture, the Internet of Things will quickly infiltrate into all sectors of the real economy. At the same time, the introduction of SDChain to logistics, property management, shared printing and other industries will contribute to solving the problems faced by enterprises in these industries. 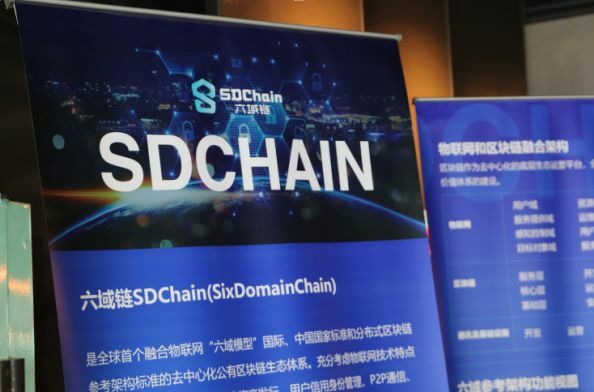 The SDChain with the international and Chinese national standards of the Internet of Things has also achieved the first implementation in the Internet of Things industry. At the conference, Mr. Cui Chunsheng began by explaining the overall technical architecture and development of SDChain implementation in the six-domain model international standard of the Internet of Things. In addition, he also explained the underlying technical framework, and gave a detailed overview of its improved PBFT consensus mechanism, clarifying the native support for multi-asset and asset trading, excellent system performance, and the application of smart contracts with blockchain projects such as Bitcoin, Ethereum, Hyperledger, etc., which indicates that SDChain as a blockchain 4.0 project, has great advantages in these areas. The rapid growth in the number of users of blockchain and the Internet of Things, will lead to a corresponding growth in the demand for higher blockchain performance. To meet this demand, SDChain has been also highly optimized. At present, the SDChain masternodes has been deployed in the United States, Australia, Japan, Singapore and other location across the globe to provide blockchain service. 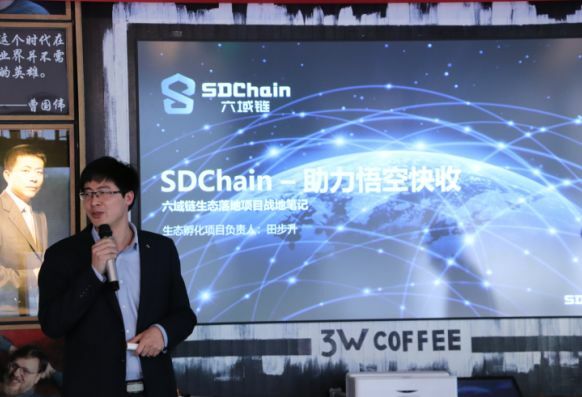 As a blockchain project based on the international standards of the Internet of Things, SDChain has been the focus of the whole Internet of Things industry. Moreover, in the process of ecological construction, a large number of new enterprises have signed up to the Internet and Internet of Things. Mr. Tian Busheng spoke about the situation of SDChain implementation and application vision in the express delivery industry. Wukong Transport (Wukong Kuaishou), for example, an Internet company that was founded in October 2016 and owned by Jiangsu YiBuDa Supply Chain Management Co., Ltd., focusing on the "last mile" of community logistics. Wukong Transport attracts customers by offering express delivery service to community convenience stores, and at the same time it provides value-added services and commodity sales services to consumers within the community. The company now works with three hundred community convenience stores in Wuxi, serving more than ten million people annually. Joining the SDChain ecosystem and linking the express data to the chain, has helped Wukong Transport solve issues such as the difficulty of tracing lost deliveries, the allocation of operating income, the difficulty of project replication and extension financing. SDChain will offer help to establish safety and transparency in the form of a trusted express delivery network to stimulate business growth. 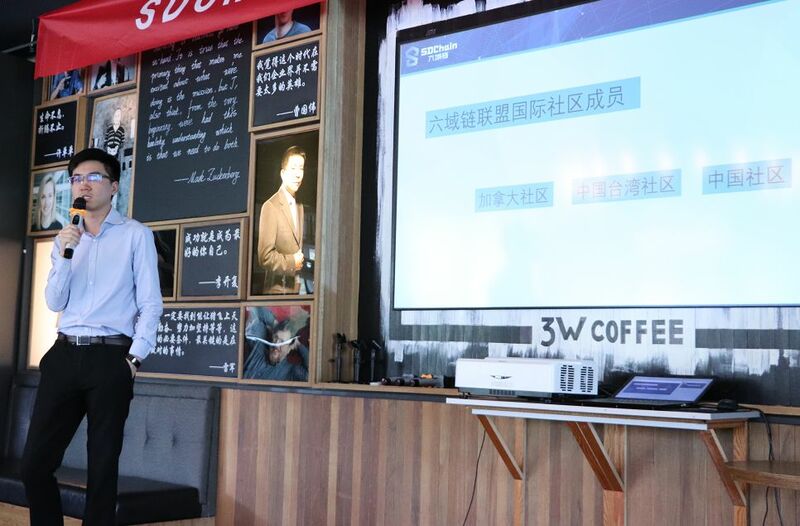 Mr. Pei Qiang explained the project realization and application potential of SDChain in the shared economic field. SINZK is a technology enterprise dedicated to campus sharing. The company's mission is to use cloud printing and cloud typesetting as a portal to provide printing services for users and explore life pleasure more effectively. JiangSu CanDoWin Technology is an Internet of Things networking technology company that mainly operates computer software, develops hardware and upgrades industrial networking. Its "intelligent printing platform" aims to meet the printing needs of business circles and the community by providing diversified printing controls, reducing printing costs, improving the efficiency of photocopier rentals and making full use of idle printer resources in society. By introducing SDChain, many issues and risks will be resolved. These include issues of security, credit, source, financing, operation and capital management of a creditor's rights and equity in the field of shared economy and will lead to breakthroughs in the barriers of economic circle projects that will help the development of the projects. With the steady development of SDChain technology, the technical community is also growing rapidly in Canada, China and Taiwan. GMT+8, 2019-4-25 13:36 , Processed in 1.061940 second(s), 21 queries .